Japanese telecom giant KDDI, au mobile phone operator, kicked off au Future Stadium as part of the au Blue Challenge campaign! Japanese telecom giant KDDI, au mobile phone operator, kicked off au Future Stadium as part of the au Blue Challenge campaign (https://www.au.com/pr/soccer/ ) on December 16 2017 at the EAFF E-1 Football Championships where the Japanese men’s national team battled their South Korean counterparts. 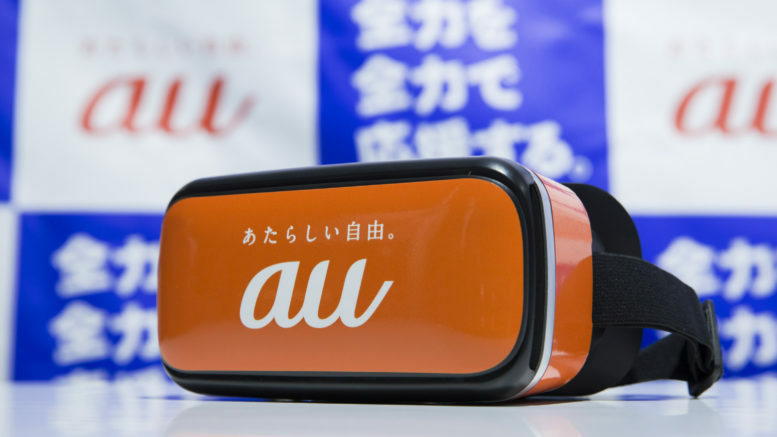 Leveraging the latest cutting edge technology, au Future Stadium offered au VR seats where supporters can root for their team while viewing VR footage along with the live action, and au/4D Replay, which offers customizable replays from the roughly 100 cameras around the stadium. au/4D Replay allowed fans to select replays in real-time while also showing the matches intricate details angles not available from their seats. This footage was also posted on the au Blue Challenge web site. au Dynamic Replay, which allows users to select the angles and positions where they’d like to view, will be posted on online sports media Sports Bull’s web site (https://sportsbull.jp/). This initiative, using entirely new technology, processes images taken from several cameras around the stadium to produce a lifelike recreation of certain plays and scenes. Additionally, au Future Stadium featured the au Stats Award, which rewards players based on in-game statistics. Specifically, this focuses on the players with the most Duels (made up of the number of dribbles and tackles, aerial duels won and fouls received). Team duels were also tallied and the captains of the South Korean men’s and women’s teams were awarded trophies after the match. KDDI is a Japanese telecommunications corporation that provides au. Be the first to comment on "Japan KDDI launches au Future Stadium, the latest technology for sports viewing"